Transit Origins Academy. Photo by Paul Malek. Transit Dance has recently held auditions for its new high school alternative for talented dancers, Transit Origins Academy. This program was developed for young people wanting intense dance training during their younger years. Transit’s high school program helps to transition young people into a career in dance in more ways than simply enhancing their dance skills. Hicks describes the course as being very balanced, with equal parts academics, professional practice and rest, as well as being tailored to the individual. 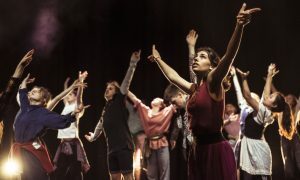 The high school program doesn’t include a performance element, but students have the opportunity to participate in performance through Transit’s Origins Dance Company. 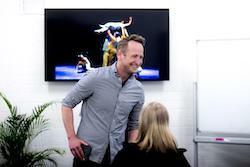 One of the things Hicks loves about his role at Transit is helping dancers develop realistic expectations about a career in dance. The high school program at Transit will help students to develop the non-dance skills required for a successful dance career. These skills are addressed in the academic classes offered, which are overseen by Carly Doctor, head of Academic Studies at Transit. 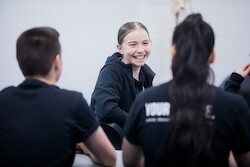 Hicks is well placed to help young people develop a realistic understanding of the dance industry, having been a full time dancer and choreographer. 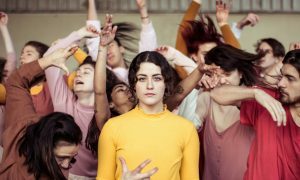 Students in the high school program will work a lot with the Transit Dance Full Time faculty, which includes professional dancers like Hicks, as well as Paul Malek, Daniel Jaber, Damien Meredith and Kyall Shanks, to name a few. 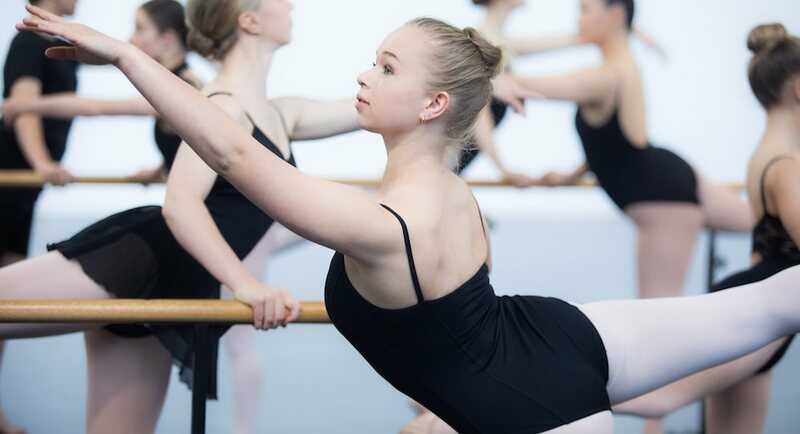 Transit has recently moved into a new dance-specific facility in Brunswick, so their students have the opportunity to train in a world class space. The high school program is an elite program, and Transit is seeking young dancers who already have existing training, but Hicks says they are also looking for something else. Paul Malek. Photo courtesy of Malek. Hicks notes that Transit is like a family, and they are looking for like-minded people. For more information on Transit Origins Academy, click here.